Can You Stain an Engineered Floor? Engineered wood floors are made by bonding a wood veneer to a composite wood base. 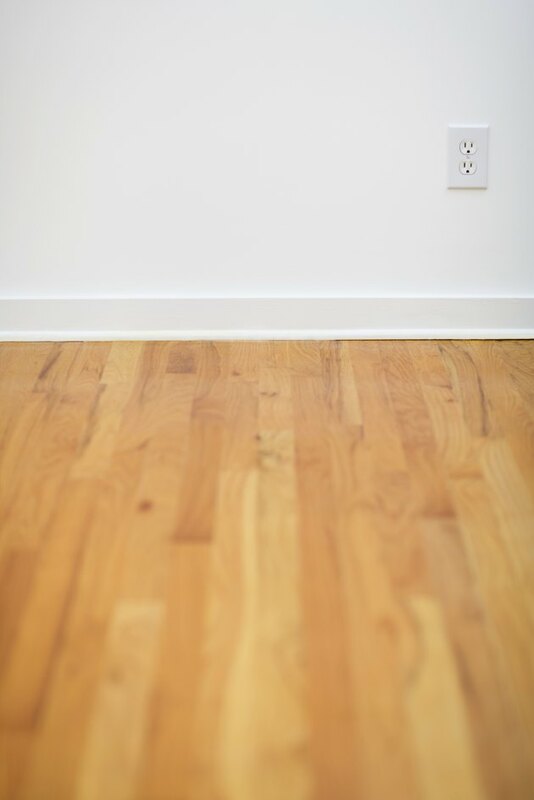 Engineered wood floors are easy to install and can be used in basements and other high moisture areas that are not appropriate for solid wood floors. Engineered wood floors may be stained, depending on the product. Consult the manufacturer for specific recommendations. Select a stain and finish that you can live with for many years. Engineered wood floors come with a factory-installed stain and durable seal that is usually warrantied to last between 10 and 30 years. The finishes are so durable that most homeowners may never need to stain and refinish the floor. Engineered wood floors come in a variety of stains and wood types so you'll likely find one you like when you select the floor, eliminating the need for staining. If the floor has become worn, or you want to update the color of the wood, staining and refinishing it may be an option, depending on the thickness of the veneer, or top layer of wood. The top layer must be at least 2 mm thick to stain and refinish it. Engineered wood floors with a top layer that is less than 2 mm thick can be screened, which is the process of removing the urethane and applying a new coat, but they cannot be refinished. High-quality engineered wood floors have a top layer that is 4 to 6 mm thick and can be stained and finished up to five times, prolonging the life of the floor to 60 to 80 years. Refinishing engineered wood floors is an expensive and dusty process, but proper care of your floors will reduce the need for refinishing. Sweep the floors as often as needed to remove dust and dirt, which will scratch the floor's surface. Place area rugs in high traffic areas or in areas where the floors may be exposed to water. Mop the floors occasionally with a slightly damp mop and a floor cleaning product. Because engineered wood floors have a thin top layer, hiring a professional floor refinisher is recommended. Unless you are experienced, you may sand off too much of the top layer, causing permanent damage to the floor. Can You Seal Laminate Floors? What Kind of Wood Flooring Is the Most Durable? What Is the Meaning of Stripping Floors?